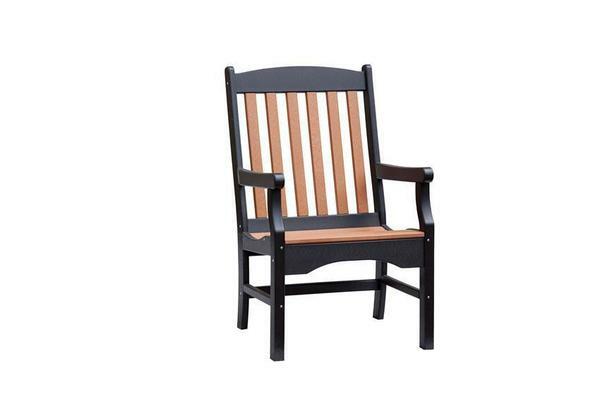 Whether on the patio, deck, or in the garden, this Poly Sunnycrest Patio Chair will provide you with a great seat to take in some fresh air and enjoy Mother Nature. Available in a wide variety of poly colors, the design possibilities are endless when it comes to creating a unique look for your patio. Each poly chair is constructed using a highly durable, recycle plastic material called poly lumber. It will not crack, splinter, or develop mold or mildew and is virtually maintenance free! Stainless steel hardware is also used in this poly chair's construction so it is perfect to use in coastal areas. Create the perfect set in the garden to relax in by adding the matching Poly Sunnycrest Bench to your order.